A: The competition is organised by DW Akademie, hereinafter DW, and will take place from April to December 2019. The competition is open to everyone above the age of 18 years at the moment of registration (hereinafter the “eligible persons”). Journalists, developers, designers, data scientists, creatives, technologists, as individuals or representing organisations, are invited to participate, submitting concepts or to be part of a team. Managers at DW, members of the jury and the persons with whom they live, mentors and the persons with whom they live are not eligible to participate. MEDIA LOVES TECH is a pre-incubation competition: from the idea to the production of a solution prototype. All projects at this stage of the entrepreneurial project are accepted. Projects must also be in the pre-commercialisation stage. This means that they have not had sales and have no declared customers. Develop a concept (pitch deck) related to one of the proposed themes. The team may then proceed to the initial stage of design, mock-up or prototyping. C: Registration will be open from June 2019 through the link on the site. Each person registered in MEDIA LOVES TECH must create a user profile on the project platform, which can be accessed on the website, specifying the place where he or she wants to work. An informative session will be held in late April, on a date to be announced later. On the submission date, the projects to be submitted must be, at most, at the conception phase (pre-prototyping) and projects must be at most at the pre-commercialisation stage. From June to August 2019, the teams must train and work on their concepts. Winning teams in phase 1 will be announced on September 2019 on the competition website. During the Hackathon to be held on October 2019, the teams will begin to develop their prototypes and seek specific skills from the experts leading these workshops. The teams will continue to develop their projects after the Hackathon, until November 2019. Optional workshops will be proposed, with the support of technical and media experts. The dates and locations of these workshops will be announced in the future. 20 November 2019 (tbc) is the date to submit documents for the final: the project presentation, in PDF format, and a description of the prototype (a demo video is desired). Submission of these two documents must take place no later than 20 November 2019 at 23:00 (Tunis time). All prizes will be announced by the organisers to the recipient teams during the closing ceremony on December 2019. D: All work carried out by the teams shall be the property of the teams. No company, organisation or entity other than the registered members of the team may claim any prerogatives over the intellectual property developed at MEDIA LOVES TECH. All previous intellectual property that the participants of MEDIA LOVES TECH bring with them or through which they are related due to their employment status must be declared to the other team members and the organisers of MEDIA LOVES TECH. Stage 1: Submission before August 2019, announcement of selected projects on September 2019. The selected teams (maximum 10) will win 3,000 TND each and have the to continue to develop their projects during the Hackathon in October 2019. Stage 2: Teams participating in the Hackathon will continue to work on their products so that they can submit the prototypes prior to November 2019. The team that wins the 30,000 TND will be announced on December 2019 at the closing ceremony. The prize will be awarded in stages according to the progress made in the development of the project. User experience: is the interface friendly and easy to use (according to the target audience of the product)? Implementation: What is the plan to implement and promote the product in the future (roadmap)? Project team: degree of collaboration in the team, their capacity and motivation to ensure the continuity of the project (during Open-Innovation challenges, it is not just about creating new ideas but collaboration and co-creation are also among the main goals). Documents may be drawn up in Arabic, French or English. English is preferred. Upload a video, a link to a demo or any other documents that would allow us to evaluate your product or the progress of your work better. Each member must have signed the commitment contract to submit prototypes. Confirm that he/she meets the eligibility requirements and the other requirements in these rules. If it fails to meet one of the conditions mentioned above or any other condition mentioned in these rules, the selected team shall be disqualified and, at the discretion of organisers, the prize will be either cancelled or awarded to a different team, in accordance with these rules for participation. The same conditions shall be applicable, modifying them as necessary. In the event that the selected participant refuses to collect the prize, DW shall be free from any obligations relating to the delivery of this prize and may proceed, at its discretion, to cancel the prize or to a new draw as described in the previous paragraph. All registrations and Declaration Forms may be subject to verification by DW. Those that are, as appropriate, incomplete, inaccurate, illegible, mechanically reproduced, defaced, fraudulent, filed or submitted late, including an invalid telephone number or otherwise not valid, may be rejected and shall give no right to the prize. Any person participating in MEDIA LOVES TECH or attempting to participate in a manner contrary to these rules and likely to be unfair towards other participants (e.g. : computer hacking, non-declaration of previous intellectual property, etc.) shall be disqualified and may be referred to the competent judicial authorities. Likewise, projects not currently at the pre-incubation (prototyping) and pre-commercialisation stages shall be disqualified. Intellectual property of the prototype produced during MEDIA LOVES TECH shall belong to the entire team. If they use pre-existing intellectual property components, it is the responsibility of the teams to ensure that they have full property over these so that they may use them as part of MEDIA LOVES TECH. Any attempt to sabotage the legitimate running of the contest shall constitute a breach of civil and criminal law. If any such attempts are made, DW reserves the right to reject the registration of the participant and seek legal compensation. Prizes must be accepted as described on the MEDIA LOVES TECH website and may in no case be wholly or partially transferred to another team, replaced by a different prize or exchanged for cash, subject to what the organisers may decide, at their entire discretion. If DW is unable to award the prize as described on the MEDIA LOVES TECH website (add link), it reserves the right to award a prize of the same nature and of equivalent value or, at its entire discretion, the value of the prize specified in these rules. The winner shall hold DW harmless from any liability for damages that may arise from its participation in MEDIA LOVES TECH or from the acceptance and use of the prize. The winner acknowledges that, after receipt of the prize or the letter confirming the prize, the performance of obligations related to the prize shall become the full responsibility of the different product and service providers. The winner agrees to sign a declaration and liability release form to this end. The winner of a prize acknowledges that the only guarantee applicable to it shall be the usual manufacturer’s guarantee. DW shall assume no liability of any type whatsoever in all cases where their incapacity to act results from a fact or situation independent of their will or arising from a strike, lock-out or any other employment conflict in the establishment of organisations or companies that provide services used to hold this competition. 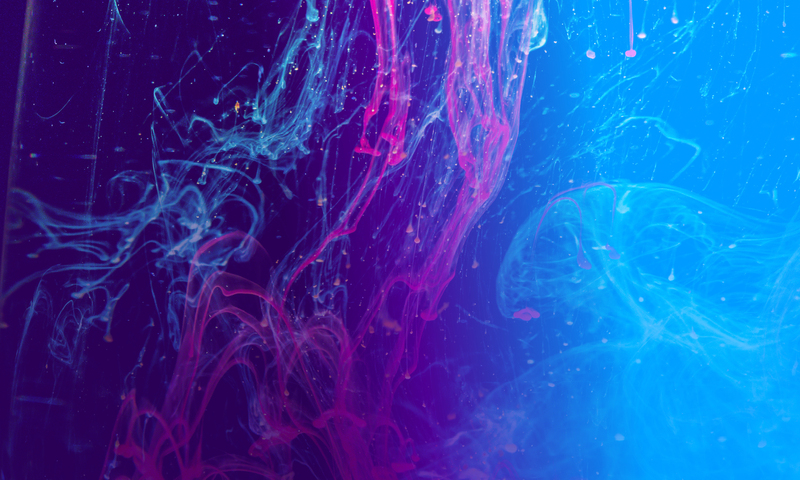 DW shall not be liable for entries lost due to any website failures, for any reason whatsoever, for the duration of this competition, including any damages to the computer or mobile device of a participant. At its sole discretion, DW reserves the right to cancel, terminate, modify or suspend this competition, wholly or partially, in the event that an event or any human intervention is found that may alter or influence the management, security, impartiality or running of the competition as specified in these rules and no liability may be attributed to it. In the event that, for any reason whatsoever, participation in the competition must end wholly or partially before the end date provided in these rules, the prize may be awarded, at the discretion of DW, from among the entries duly submitted and received until the date of the event that ends participation in MEDIA LOVES TECH. By participating or attempting to participate in the competition, every person releases DW from any liability for damages that he or she may suffer by reason of participating or attempting to participate in the competition. By accepting the prize, all winners authorise DW to use, if necessary, their names, photographs, image, voice, place of residence and declaration relating to the prize for advertising purposes, without any compensation. If a paragraph of these rules is declared or deemed unlawful, unenforceable or void by a competent court, this paragraph will then be considered void but all other unaffected paragraphs shall be applicable within the limits permitted by law. 14. These rules are available on the website. 15. The competition is subject to all laws applicable in Germany. The personal information collected on participants shall be used solely for the purposes of managing MEDIA LOVES TECH. 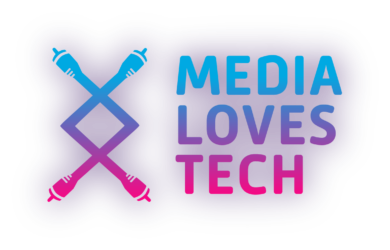 Any person participating in MEDIA LOVES TECH agrees to be subject to these rules and the final and unappealable decisions of the organisers managing MEDIA LOVES TECH.